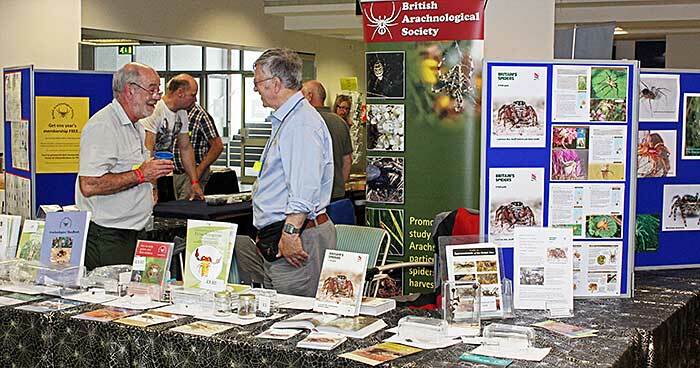 As part of the Club’s outreach programme, Dennis Fullwood, Paul Smith and Alan Wood manned a stand at the Annual Exhibition and Trade Fair organised by the Amateur Entomologists’ Society at Kempton Park Racecourse in Middlesex, promoting microscopes and microscopy to young and old entomologists. 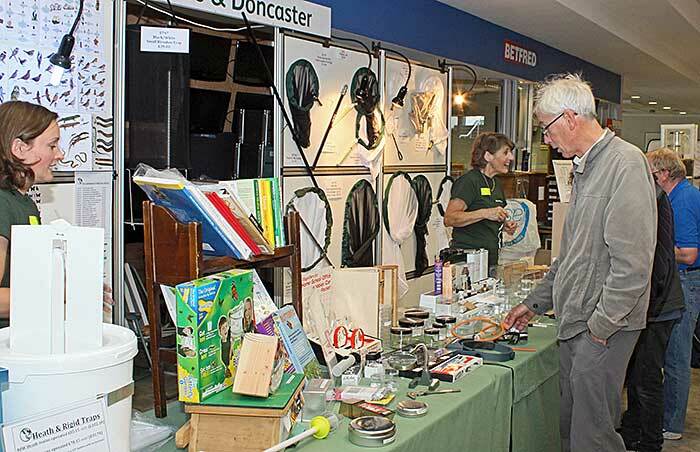 As usual, there were hundreds of visitors, but the event often clashes with our own Annual Exhibition, so we don’t usually get the chance to exhibit here. 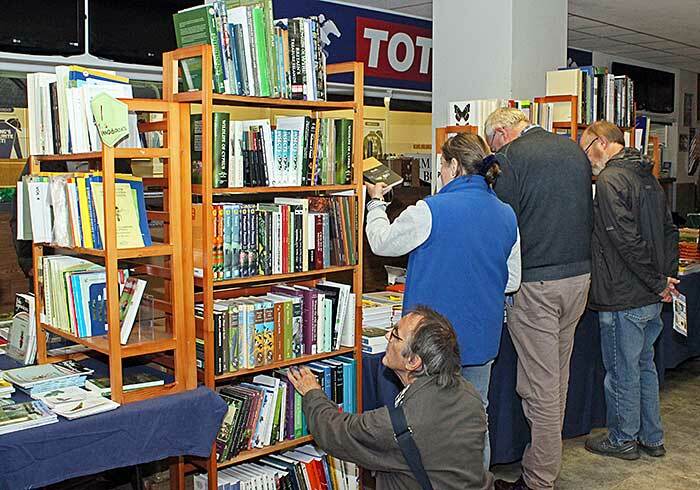 There were well over 100 stands spread over 2 floors. 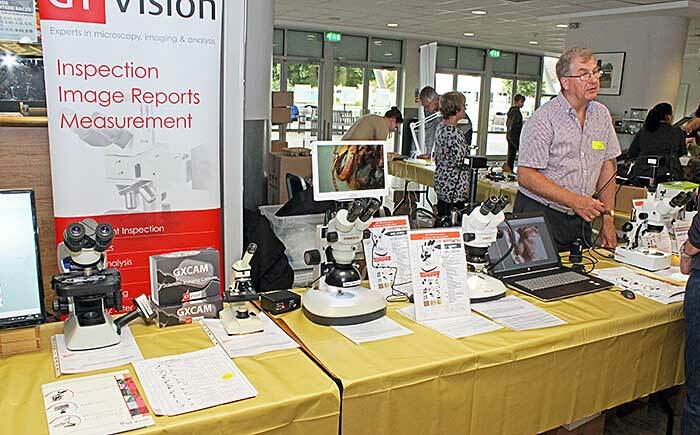 We had lots of visitors to our stand and we hope to see some of them again at the Annual Exhibition of Microscopy (Saturday 7th October, Natural History Museum) and at Microscopium (Saturday 21st October, St Albans). 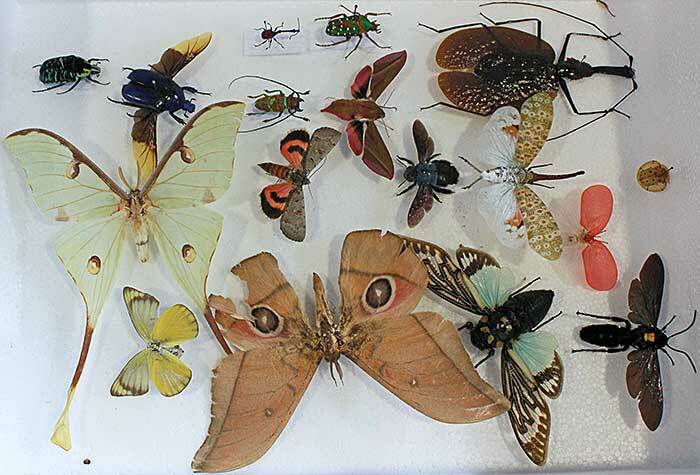 Visiting Quekett members included Sam Christofi, Steve Durr, Martin Hinchcliffe and Robert Ratford, and visiting NHM staff included Jan Beccaloni (who gave the M. C. Cooke Lecture in 2011) and Erica McAlister (who is giving a lecture in 2018). 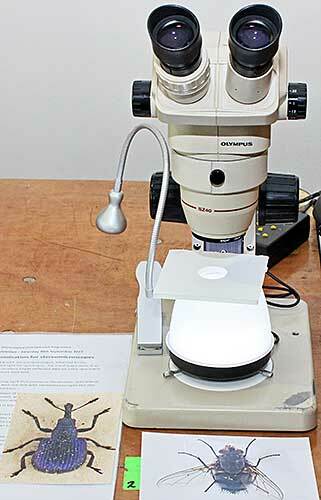 We had 5 microscopes to allow visitors to view our specimens. 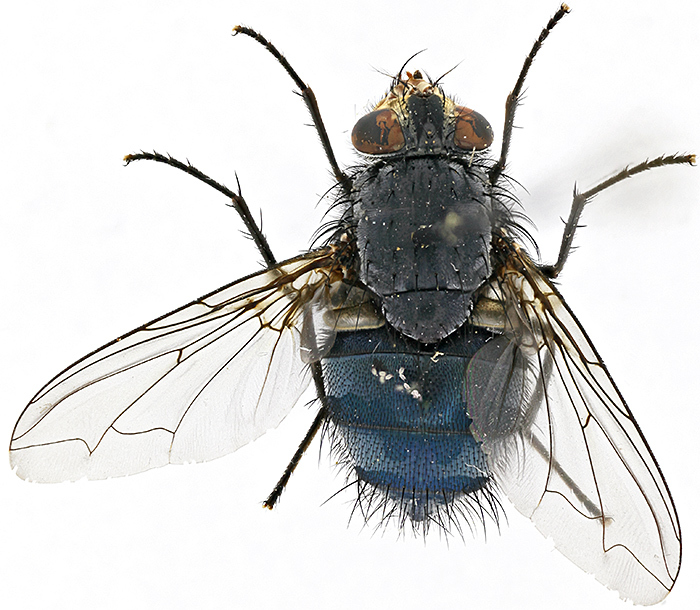 Dennis Fullwood brought his Nikon Labophot compound microscope with slides of whole insects and parts of insects, including a blowfly’s tongue. 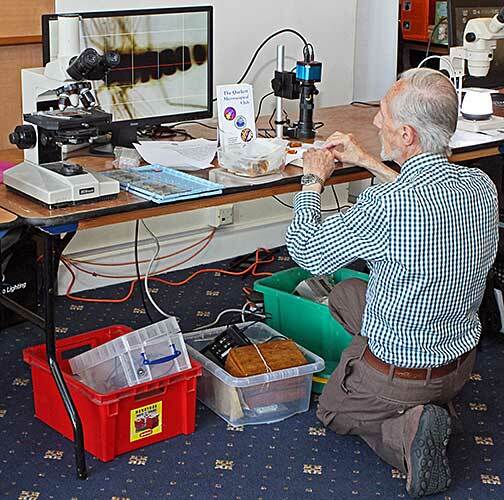 He also showed insects in Baltic amber using his Olympus SZ4045 stereomicroscope and a Chinese inspection camera with images displayed via an HDMI cable on an Iiyama monitor. 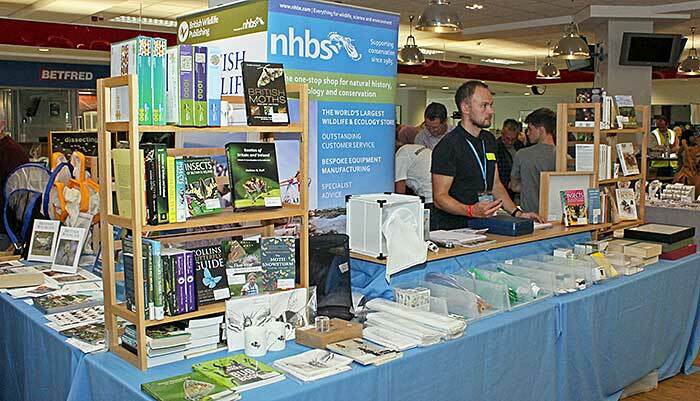 The camera attracted a lot of attention from people interested in outreach. 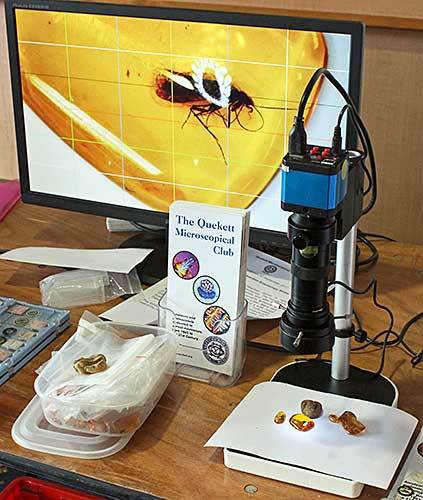 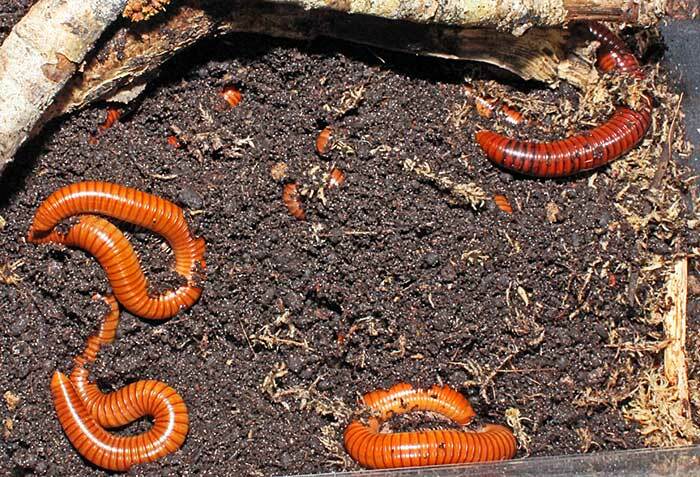 Paul Smith brought his trinocular stereomicroscope with a Canon EOS M3 camera connected to a television to show a grub of the European hornet (Vespa crabro L.) in part of a nest recently collected in Wimbledon. 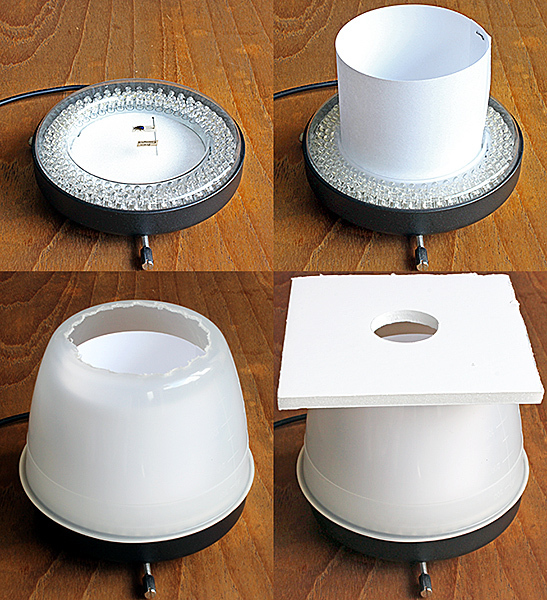 Alan Wood used his Olympus SZ4045 stereomicroscope to demonstrate a simple system for shadowless illumination using an LED ring-light shining up into an inverted kitchen bowl with its base removed. 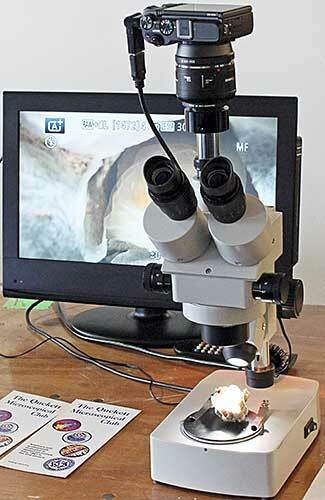 This setup provides clear images of insects and also worked very well with an insect in amber. 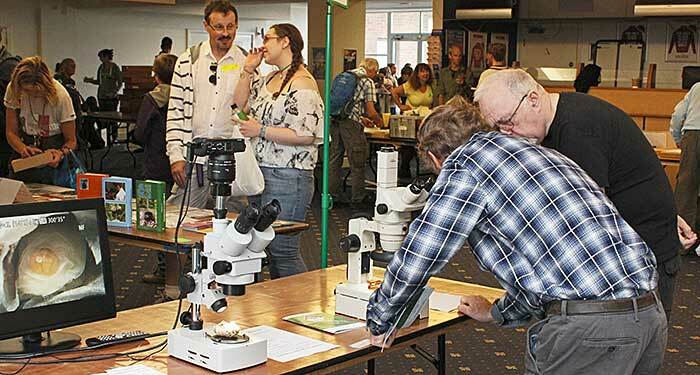 Sadly, we won’t be able to exhibit at this event in 2018 because the date, Saturday 6th October, clashes with our own Annual Exhibition of Microscopy. 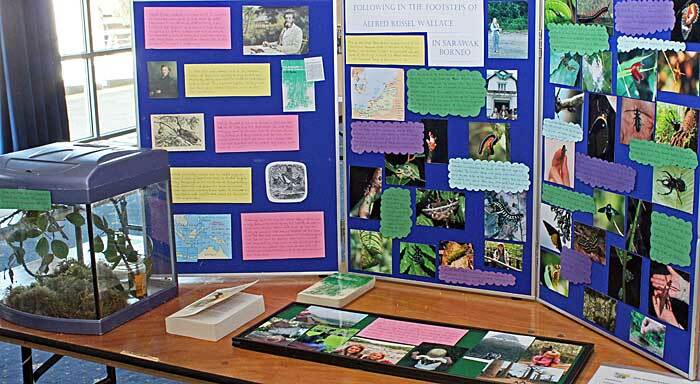 There were lots of interesting displays by members of the AES. 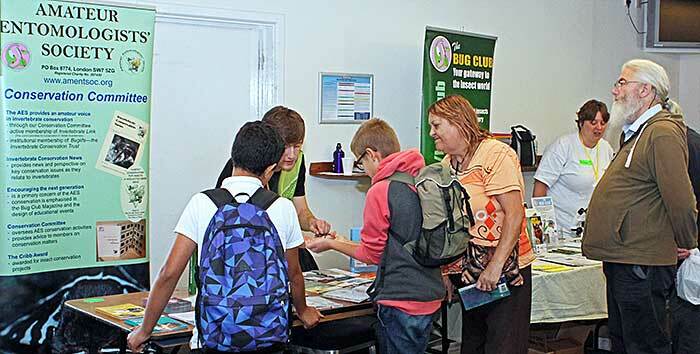 The AES Bug Club had their own stand, and some other societies were represented. 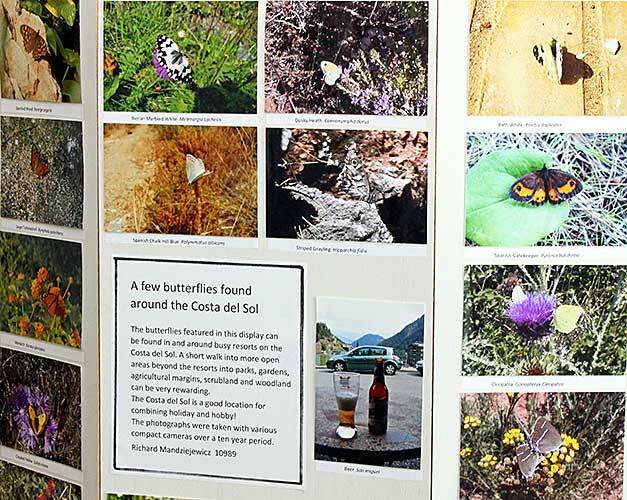 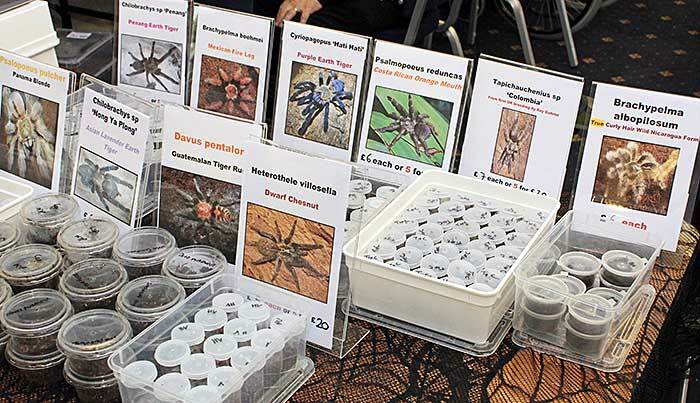 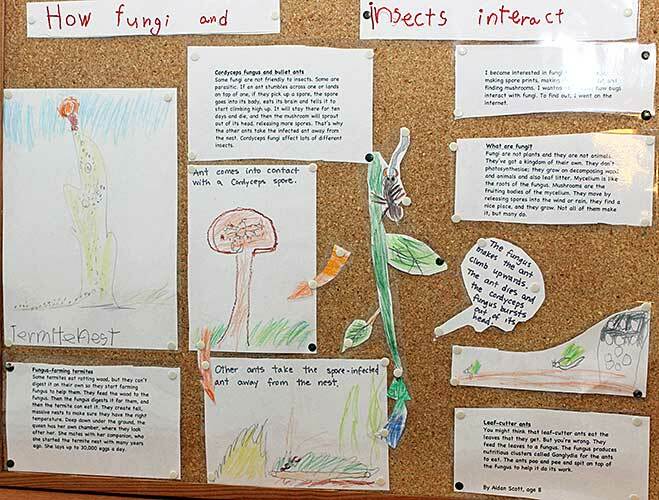 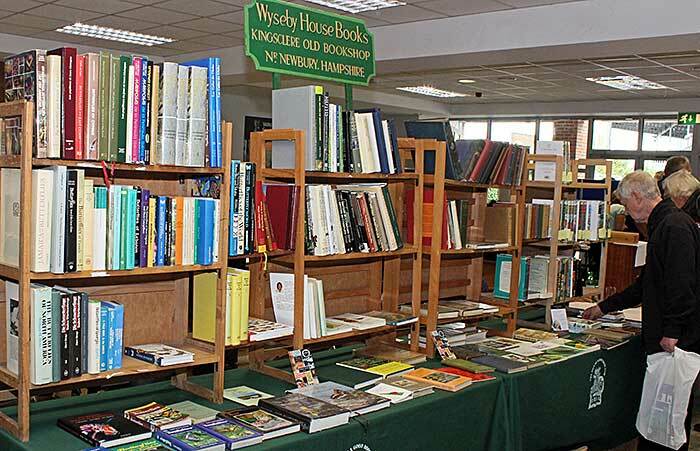 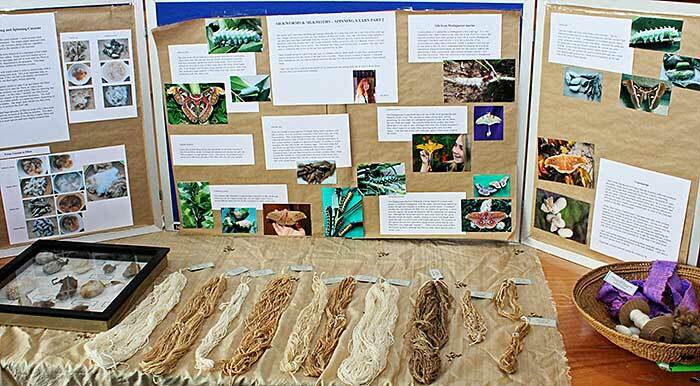 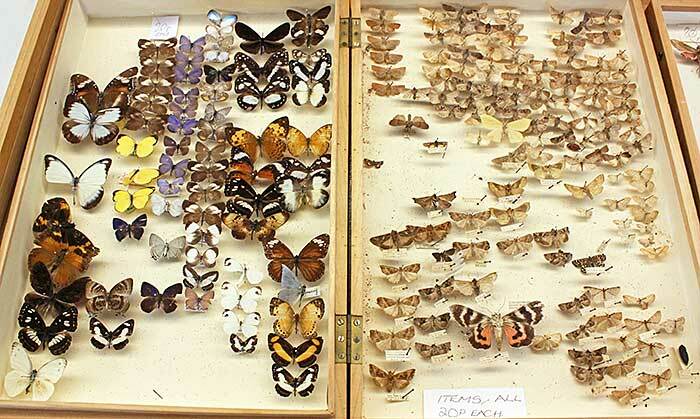 There were all sorts of things for sale, including new and used books, lots of set butterflies and moths, live stick insects, spiders, woodlice, millipedes and snails, equipment for catching, rearing, setting and storing specimens, drawings, mugs and ornaments.